They say that all politics is local. This is true. Equally true is the notion that the government closest to you is the entity of government that affects you the most. So, when local politics and the power brokers behind local politics are corrupt, the people suffer. Corrupt politicians are nothing new to politics. They are chronicled back to the Roman Empire and before. Power plays during the times of the pharaohs were commonplace and the Ides of March saw Caesar on the wrong end of a multitude of daggers. So, too, are power brokers infamously enshrined in the annals of history. On the one hand, it obliterates the monopoly on information that the mainstream media held to date. No longer can the “Big 3” networks propagandize ideologically about things like the Tet Offensive (actually a significant victory for the United States but characterized as a loss by CBS news anchor Walter Cronkite and others) and get away with molding the opinions of the American people. Social media has allowed the people to call the propagandist media out on manipulation. Social media trolls will gin-up unwarranted outrage by seeding disingenuous content and queries so that people engage emotionally, and before they explore the facts of the matter from valid and legitimate sources. This is the sharper edge of the double-edged sword. Our society has become so addicted to convenience that it mistakes (or not) supposition for fact because it believes it is getting legitimate information on social media. To that end, Facebook, Twitter, Instagram and the rest of the more popular social media platforms play into this informational power grab by inferring that they vet informational sources. Facebook instituted new algorithms and protocol to vet informational sources, but the “vetters” themselves have been called into question for their biases. Facebook “groups” have established administrators to vet individuals and content, but many of those groups are decidedly jaded to a position or a movement, political or ideological. Who is to say that those administrators aren’t ideologically skewed to a particular line of thought; that they aren’t willing to dedicate themselves to one-sided coverage or to advancing known untruths to achieve their goals? Progressives and disingenuous political operatives believe, in their heart of hearts, that the end justifies the means. While this malady is certainly happening at a national level, it is more destructive and more prevalent on local levels. Because media — and especially mainstream media — is geared toward attracting the largest audience (a must for purposes of ratings and profit) local politics is most often incubated on social media. This allows for inexperienced and disingenuous political operatives and “wannabes” to pollute the information that voters (read: citizens and taxpayers) consume about the goings-on. False statements, known untruths, disingenuous memes and flat-out smears are their practice and trade. Want to be a “news source”? All you have to do is throw up a Facebook page, call it a newspaper, buy a banner and pretend you are a journalist. The result of their efforts is elevating corruption to elected office. So, what can be done to neuter the disingenuous local power brokers? The answer is simple but it requires effort, and sadly effort is something our society has conditioned ourselves not to expend unless it is about our own personal pleasures. We all — all of us — need to go to the sources for information. If information is cited in an article, go to the citation and consume the information from the source. If a notion is floated that seems explosive, question the author or poster for source information. Don’t consume hearsay on social media as fact; vet the information for validity. Question everything and everyone. Demand sources, and if the originator cannot provide them consider that source as invalid. Demand and expect truth and when you come across someone who is advancing propaganda or untruths; unmask them and brand them with a nuevo scarlet letter: “P” for propagandist. Social media is a fantastic forum and it helps us to keep in touch with people, alerts us to events and, yes, keeps us up with the happenings in our neighborhoods, towns and cities. But just like any other information source, social media has its dark side and its dark players — those who would gain (usually monetarily) from manipulating your understanding of the issues. Please take the time to find source information so you aren’t duped into doing the disingenuous their bidding. As President Ronald Reagan said: “Trust but verify.” It’s the intelligent thing to do. Frank Salvato is the operating partner at The Archangel Organization, a management and organizational strategies group. He serves as managing editor of The New Media Journal. He wrote this for InsideSources.com. This week marks 73 years since the U.S. atomic bombings of Hiroshima and Nagasaki on August 6th and 9th, ultimately resulting in the deaths of more than 200,000 people. With the dawn of the nuclear age, the term “hibakusha” formally entered our lexicon. Atomic bomb survivors are referred to in Japanese as hibakusha, which translates literally as “bomb-affected-people.” The bombings and aftermath changed the world forever and threaten the very future of mankind to this day. According to the Atomic Bomb Survivors Relief Law, there are three hibakusha categories. These include people exposed directly to the bomb and its immediate aftermath, those people exposed within a 2-kilometer radius who entered the sphere of destruction within two weeks of the explosion, and people exposed to radioactive fallout generally from assisting victims and handling bodies. These also include those exposed in utero, whose mothers were pregnant and belonging to any of these defined categories. Hibakusha have provided a living legacy to the horrors and threat of nuclear war. The threat continues to this day, fueled by a new nuclear arms race initiated by the United States proposal to spend upwards of $1.7 trillion over the next 30 years to rebuild our entire nuclear arsenal. Every other nuclear nation is following suit in modernizing their arsenals as well, giving rise to the myth of nuclear deterrence that has driven the arms race since its inception. This is not a reality that has to be. Recognizing the catastrophic humanitarian consequences from any use of nuclear weapons, civil society and NGOs around the world—working with hibakusha—initiated an international effort over the past decade to abolish nuclear weapons. The International Campaign to Abolish Nuclear Weapons, ICAN, recipient of the 2017 Nobel Peace Prize, led this international effort. On July 7, 2017, the Treaty on the Prohibition of Nuclear Weaponswas adopted by 122 nations, representing a majority of the world’s people at the United Nations. Opened for signature on September 20, 2017, the International Day of Peace, the treaty makes nuclear weapons illegal under international law just as all other weapons of mass destruction have been declared. Once 50 nations have ratified the treaty it goes into effect 90 days later. Thus far there have been 15 nations who have ratified the treaty with New Zealand signing this past week (signing is step one, ratifying is the final step). 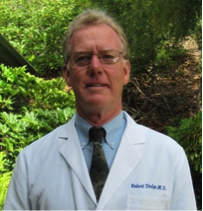 Robert Dodgewrites for PeaceVoice, is a family physician practicing in Ventura, California, is the Co-Chair of the Security Committee of National Physicians for Social Responsibility and is the President of Physicians for Social Responsibility Los Angeles. After the murder of Heather Heyer in Charlottesville, many people are asking themselves what they should do if Nazis rally in their city. Should they put their bodies on the line in counter demonstrations? Some say yes. I watched this very thing happen steps from my office on the University of Washington campus. Last year, a right extremist speaker came. He was met by a counter protest. One of his supporters shot a counter protester. On stage, in the moments after the shooting, the right extremist speaker claimed that his opponents had sought to stop him from speaking “by killing people.” The fact that it was one of the speaker’s supporters, a right extremist and Trump backer, who engaged in what prosecutors now claim was an unprovoked and premeditated act of violence, has never made national news.